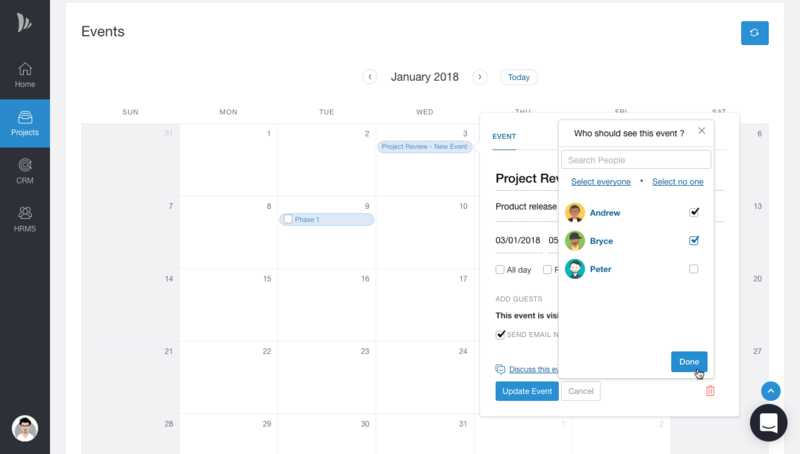 Creating Events to Projects will keep all the members in the project updated about Project events. All the Events will be synced with TeamWave's Calendar in Homepage. 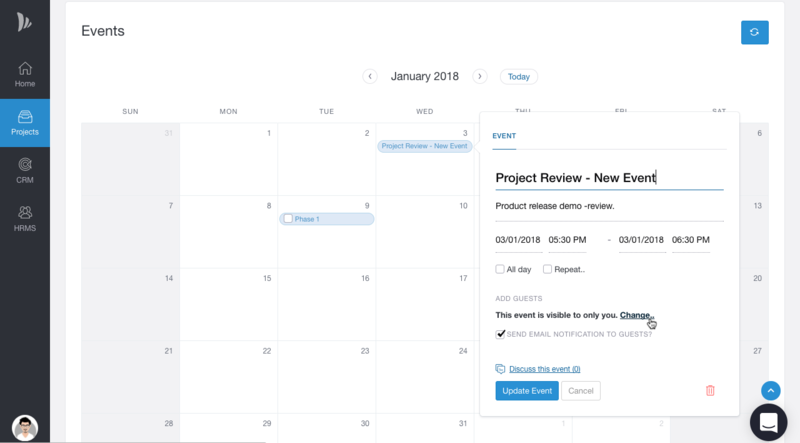 TeamWave lets you create Events easily for your Project's meetings, reviews, presentations and invite your team members. You can even choose who can be invited to the Event and the events stay private with the invited members. You can opt out to send an email notification by unchecking the checkbox. A created Event can be edited and deleted from the event detail pop-up.